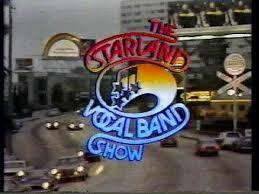 The content of the show was similar to that of most variety shows of that time, featuring musical interludes from Starland Vocal Band themselves, intertwined with comedy segments featuring appearances from Mark Russell, Jeff Altman, and Proctor and Bergman among others. Various recurring segments included the Starland members attending a Renaissance fair and exploring an abandoned amusement park, David Letterman dressed as a mailman reading viewer mail, Letterman interviewing various characters played by Jeff Altman and ending up punching them in the stomach, and brief segments from Mark Russell filmed in a Washington hotel. The show was generally poorly received due to its unfunny and repetitive humour, with Starland keyboardist Jon Carroll going on to regret doing the show, stating in a 2015 interview that “It wasn’t all bad. It was mostly bad."